- Size: 32 X 25 X 10. -Handwoven kilim case, great Travel bag , natural looking item for everyday use. 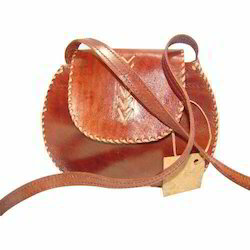 We are the reckoned supplier of superior quality Frill Leather Handbag. The offered handbag is designed by our skilled professionals using premium quality leather and ultra-modern technology in sync with industry norms. Our quality experts test this handbag on different parameters to ensure its quality at client's end. 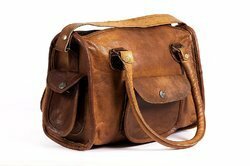 By leveraging upon our extensive market knowledge, we provide the best array of Ladies Stylish Leather Bag. We are engaged in offering an appealing collection of Leather Designer Envelop Bag to our valuable clients. Unveil your trendy and stylish side while carrying this maroon colored handbag for women from Hawai.